Joe Lewis joined the Academy as a sports therapist in 2009 after qualifying from Edge Hill University. He had previously graduated from the same university with a degree in sports science. Joe met Dave Galley - the Reds' former head physiotherapist - during a voluntary work placement with Bolton Wanderers and later linked up with him at Wigan Athletic on a similar basis. This experience led to a 10-month role as a sports therapist at Wrexham, where he worked with both the youth team and first-team, before making the move to Kirkby. 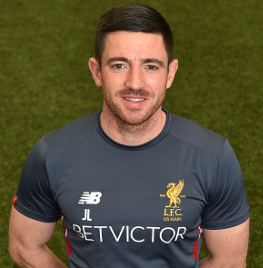 In 2016, Joe moved to Melwood to work with the first-team set-up.